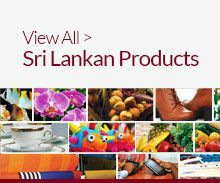 Quality and Durable Rubber and Rubber Based Products from Sri Lanka. Sri Lanka’s natural rubber has a high-demand in the world market due to its unique properties. The country now has a premium quality natural rubber type known as Lankaprene which is odour free to a certain extent, light coloured, and clean which is ideally suited for medical equipment and up- market value added products. Sri Lanka produces almost all types of Natural Rubber (NR) available in the market including: Ribbed Smoked Sheet (RSS), Latex Crepe, Sole Crepe, Scrap Crepe, all grades of Technically Specified Rubber (TSR), Specialty Rubbers and Latex Concentrate. Sri Lanka pride itself in manufacturing a number of value added rubber products by processing raw rubber. These range from Rubber Products made in Sri Lanka are internationally acclaimed and accepted for quality and durability. Sri Lanka's industrial solid tyres are not only recognized as the best product in the world but also industry prides itself as the market leader of the global market.